''Canadian Mennonite'' (15 April 1960): 1. 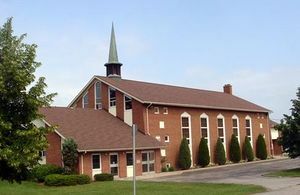 <em class="gameo_bibliography">Fortieth Anniversary: Mennonite Brethren Church, Vineland, Ontario.</em> 1972, 20 pp. ''Fortieth Anniversary: Mennonite Brethren Church, Vineland, Ontario.'' 1972, 20 pp. <em class="gameo_bibliography">From His Fullness: a Brief Survey of the History of the Vineland Mennonite Brethren Church.</em> Vineland, ON: Vineland Mennonite Brethren Church, 1962, 44 pp. ''From His Fullness: a Brief Survey of the History of the Vineland Mennonite Brethren Church.'' Vineland, ON: Vineland Mennonite Brethren Church, 1962, 44 pp. <em class="gameo_bibliography">History of the Vineland MB Church 1932-1982</em>, [http://www.mbconf.ca/mbstudies/index.en.html Centre for Mennonite Brethren Studies]. 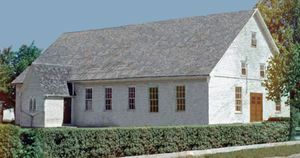 ''History of the Vineland MB Church 1932-1982'', [http://www.mbconf.ca/mbstudies/index.en.html Centre for Mennonite Brethren Studies]. ''Mennonite Reporter'' (27 November 1972): 14. Janzen, H. H., Marlene Epp and Richard D. Thiessen. "Vineland Mennonite Brethren Church (Vineland, Ontario, Canada)." Global Anabaptist Mennonite Encyclopedia Online. December 2013. Web. 25 Apr 2019. http://gameo.org/index.php?title=Vineland_Mennonite_Brethren_Church_(Vineland,_Ontario,_Canada)&oldid=147250. Janzen, H. H., Marlene Epp and Richard D. Thiessen. (December 2013). Vineland Mennonite Brethren Church (Vineland, Ontario, Canada). Global Anabaptist Mennonite Encyclopedia Online. Retrieved 25 April 2019, from http://gameo.org/index.php?title=Vineland_Mennonite_Brethren_Church_(Vineland,_Ontario,_Canada)&oldid=147250.